The only way you’re going to see any substantial growth on an enterprise level is if you can do your part to keep your marketing and sales databases in perfect harmony. That’s where the HubSpot and Salesforce integration can help, as the integration lets you freely pass data between both seamlessly. That means you can maintain consistency between your marketing and sales teams - so here’s how to install the integration. In your HubSpot account, hover to the top right of the screen and click on your account name. Once the dropdown menu appears, click Integrations. 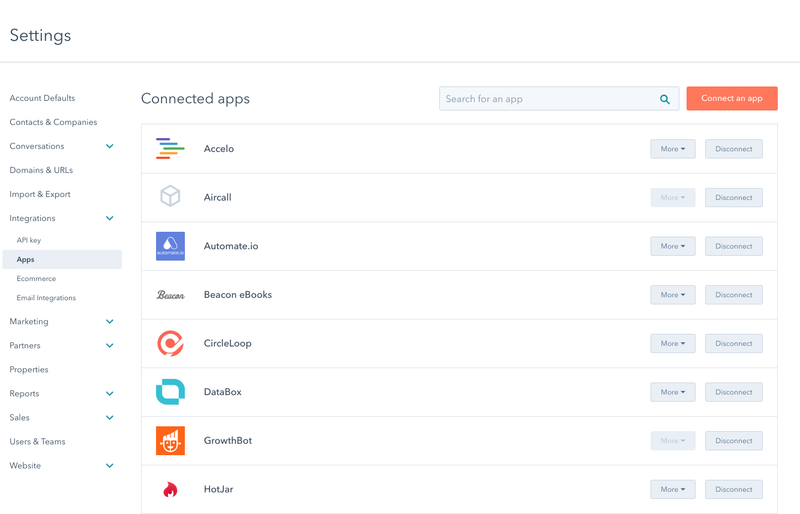 Once the integrations screen has loaded, click on the orange Connect an app button. Then, use the search bar and type in Salesforce to locate the integration. Once you can see the Salesforce box pop up, hover over it and click the View integration button. Once you’ve clicked on that, the connector wizard will open. On the next page, only tick the Yes this will connect to a sandbox option if you’re connecting HubSpot to a Salesforce sandbox. Then, click Log in to Salesforce. In the pop-up window, enter your Salesforce details and click log in. Once you’ve logged in, you’ll be redirected to the connector wizard in HubSpot. Then, install HubSpot in Salesforce. To do this, click Start the Salesforce package installation to begin, which will be highlighted in blue text. Once you’ve been redirected to Salesforce to install the HubSpot integration package, select the middle button (Install for all users) and then click install. Following that, in the dialogue box, select the option which reads Yes, grant access to these third-party websites checkbox and then click Continue. Salesforce will then install the HubSpot integration package which will take around five to 10 minutes. Side note - you might get a message reading This app is taking a long time to install. You will receive an email after the installation has completed. Just click Done and wait for that email from Salesforce. Look out for the subject line reading Package HubSpot Integration Install Successful. Once the package has been installed in Salesforce, head over back to the HubSpot connector wizard and click Next. Then you need to add the HubSpot Visualforce module to Salesforce. This module shows the contact’s likelihood to close, lets you view and filter contact activity and enrol contacts in HubSpot workflows. So, click Add HubSpot to Salesforce in the orange button. 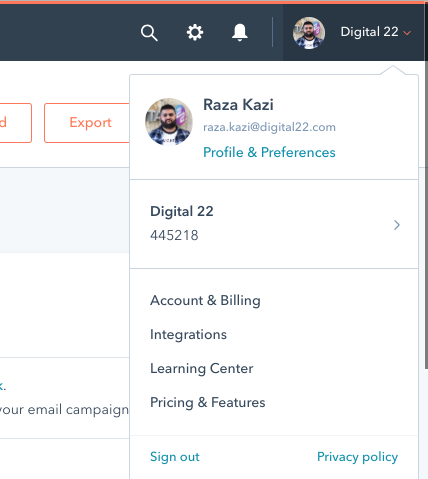 Pay attention and follow the step-by-step instructions on screen in the connector wizard to add the HubSpot Visualforce module in Salesforce. Once that’s done, click Next. Next, you need to choose how your data will sync between HubSpot and Salesforce. On the screen, you’ll see two options. If you select Recommended setup, then click the orange review settings button. If you choose Advanced setup, then skip to step eight. All you need to do next is review your selected data sync settings. To change any settings for a data sync type, click Change. Once you’re done, click finish setup and begin syncing. After that, you’ll be redirected to your Salesforce integration settings and the data between HubSpot and Salesforce will begin syncing. If you choose the recommended setup, then all you need to is click Finish setup and begin syncing. You’ll be redirected to your Salesforce integration settings and the data between HubSpot and Salesforce will begin syncing. This is an optional step and only need to do this if you choose the Advanced setup option. Click Next once you’ve selected the advanced setup option. Click the Choose which contacts to sync dropdown menu and select All contacts if you want to sync all contacts to Salesforce. 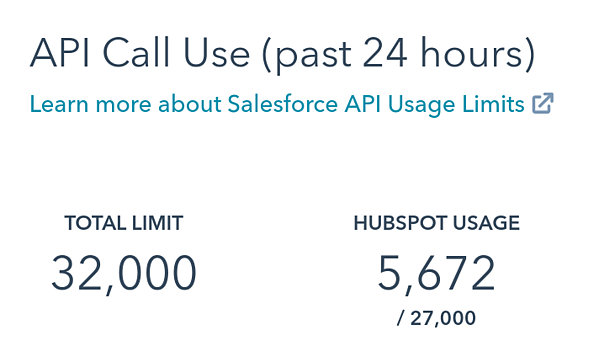 Or, select a HubSpot list to sync only those contacts to Salesforce. In the Timeline sync table, select the sync checkbox next to HubSpot events to sync to Salesforce as tasks. Click the Salesforce task types dropdown menu to select the task type that will be created in Salesforce. Click the Contacts, Companies or Deals tab to configure the sync type for standard properties for that object. You might need to toggle the Enable company/deal sync switch before you can create field mappings. The table that will pop up will show the standard HubSpot object properties and their Salesforce field equivalents. Once you see something like the image below, then you’ve successfully integrated Salesforce with HubSpot. And that’s all there is to it. It really won’t take long and by following the instructions, you can easily integrate Salesforce with HubSpot. Soon, you'll be on the right track towards maintaining consistency between your sales and marketing teams. Whatever the majority of enterprise companies are doing now, it probably isn’t working. Marketing tactics stretch far beyond outdated methods like cold calling and it’s the perfect time to dive into inbound marketing. You’ll probably have a million and one questions about the strategies you could use, how you can make the most out of a platform like HubSpot and more. To answer your questions and ease your worries, we’ve created an Inbound for Enterprise eBook highlighting the enterprise strategies to consider, how you can use HubSpot effectively, how you can get buy-in from the top and much more. To get your hands on a free copy, click on the link below.